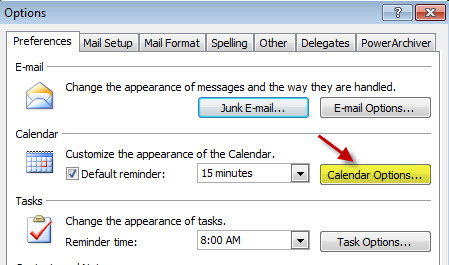 This feature is not set by default in calendar when you install your MS Outlook 2007 . 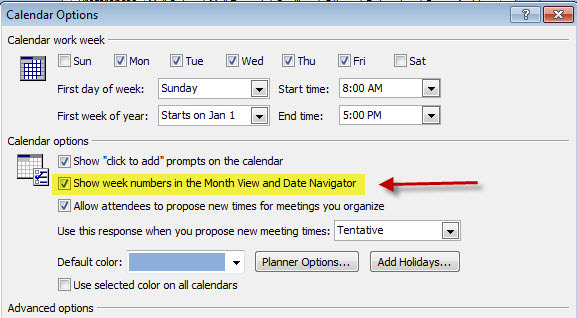 However it is very easy to turn on by few clicks so you will be able to see number of weeks in your Outlook calendar . This is very nice features as it helps you to plan your action or projects as you go. 6. Now you should see week numbers in the left navigation panel with months. MS Outlook 2010 has same “issue” this feature needs to be turned on. The steps for MS Outlook 2010 are little a bit different as Microsoft has moved things around in this version of the MS Office 2010 . However it is simple and can be accomplished in few clicks.